I've been trying so hard not to buy any more cosmetics, because I have so much that I need to get through. SO MUCH. 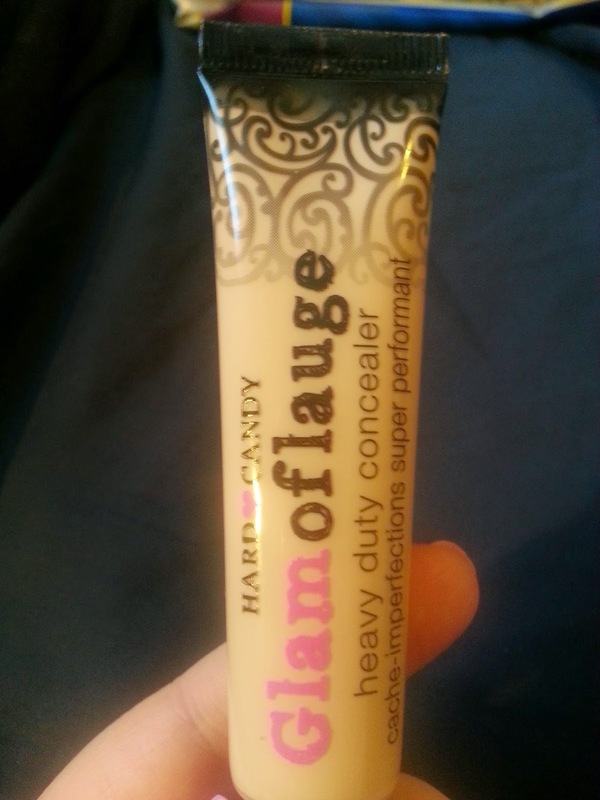 But I've heard so much about Hard Candy's Glamoflauge heavy duty concealer, that I wanted to try it out for myself. After looking online, and in stores, they were always sold out, or super expensive. But I knew Wal-mart carried it, so I always looked on and off, and saw it really wasn't that pricey. FINALLY after looking a billion times, "Ultra light" finally became available on the Wal-mart website, and they offer free shipping. So I ordered it right away. 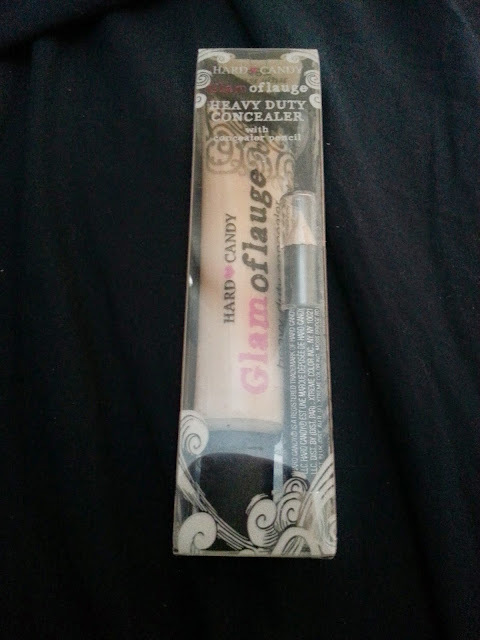 This one actually came with a concealer pencil, but I haven't tried it out, so this review will only be on the concealer itself. Since I'm super pale, I decided ultra light would probably be the best for me. But to be honest, it's not as light as I thought it would be. It seems to be an okay shade for me, but I thought it would be a little lighter considered it's called ULTRA light. So this is supposed to be heavy duty, enough to the point that it will cover a tattoo. I don't have any pictures of application, but I found that it isn't too thick - it's actually quite watery. Also, while it does cover my dark under eye circles, it doesn't have very good staying power... at least for me. It wore down within a couple of hours, and my ugly dark circles were shown again. I tried not to apply too much because I don't want it sinking into the fine lines that I do have. I'm going to try it again with a different powder over top. Maybe this will help the staying power. Does anyone have any idea on what I can do with the concealer pencil? !